Writer, Producer, and Artist is how you would describe the 37 year old Cleveland OH resident. Destined to be a force in the music industry, Calibur, whose real name is Maurice Penn, has been carving out his path for success for the last 15 years. Throughout those years, he has produced hundreds of songs, written for several different artist and has recorded 8 solo albums and 10 group albums. In 2001, He founded Dark Half Records and created a joint partnership with J. Banks in 2003. 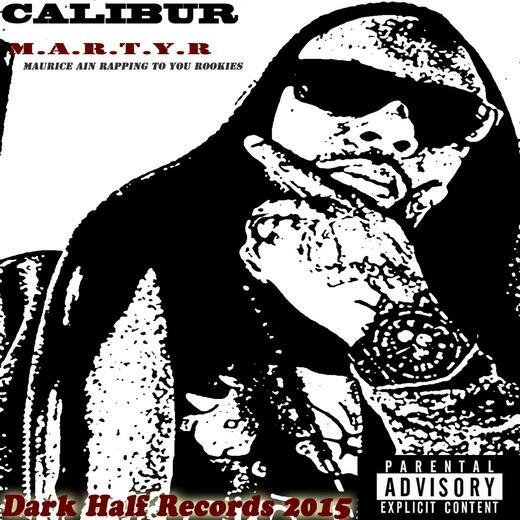 2015 marks the return of Calibur once again with his latest CD titled M.A.R.T.Y.R...already anticipated to be one of the best independent albums this year. Calibur is once again ready to solidify his spot as one of the games top artist and MC's.